Apple Planning For October 5th Press Conference Regarding iPhone 5? Friday just passed away and we didn’t see any iOS 5 Beta 8. Where as iOS 5 Beta 8 was highly expected and was confirmed by sources for Friday Launch. As for now there is no Beta 8, so we might be seeing GM (Gold Master) the next release by Apple. The GM is said to be releasing on 23rd September for carriers to port it onto iPhone 5. If all things goes well so we will be seeing iOS 5 by the end of September or First week of October, as the release is to be made in Fall by Apple. Once again October is the hottest month for rumors, confirm reports and some new launches. 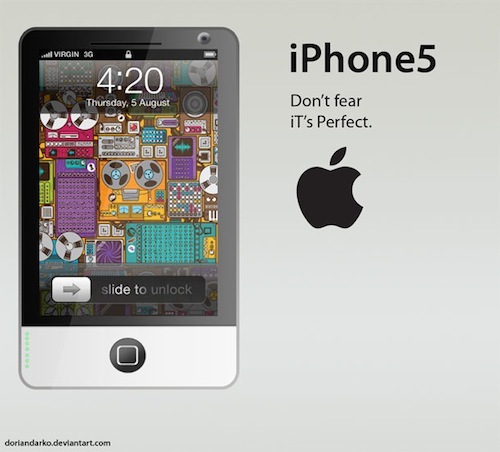 iPhone 5 the upcoming iPhone is also expected to come to carriers in the second week of October. iOS 5 is confirmed for October Launch. This was more confirmed by the frequent visit of Apple’s Corporate managers to their Retail Store to see how their employees are doing on iOS 5 and iCloud training. They told the Retail employees to complete the training by the end of September, which is quite near. Today from no where pocketgamer makes a statement regarding iPhone 5. They say that Apple is planning a press conference on October 5th for iPhone 5. They have to announce a new hardware. This broadly fits with the movement of recent rumours, which peaked with a – since proven erroneous – 21st October release date, bought forward to a October 15th date, according to Orange CEO Stephane Richard. How ever till now no confirmation has been made by Apple or any other sources about the Apple’s Press Conference. But the date seems to be very legit because on October 5, the day is Wednesday. The combination of the odd numbers also matches. We don’t expect the release of iPhone 5 to be held on October 5th, but we expect to hear something about it. If you have missed out the MyGreatFest event, at which P0sixninja and iOPK announced that they got 5 different exploits for iOS 5 which can PWN iPhone 5. So when ever iPhone 5 is out, we will get the Untethered Jailbreak for iPad 2 and iPhone 5 on iOS 5. Where as MuscleNerd is working on the newly designed Redsn0w, which will Jailbreak Untethered on iOS 5 for all A4 based iDevices.